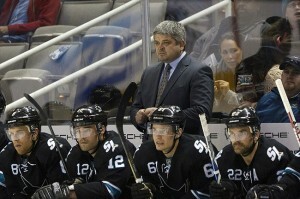 End of the Road for Todd McLellan? Rather frequently throughout the first five, six weeks of this NHL season, yours truly has preached patience. Sharks fans shouldn’t come down hard on a team for struggling out of the gate playing over three times as many road games as home contests in the first 21 games of the season. However, not all losses are created equal. There is losing a close game to Chicago and then there is losing at home to the Buffalo Sabres and going down 4-0 to the Florida Panthers. San Jose’s struggles with Eastern Conference bottom feeders was a bit comical last season, but the continuation of it this year is just sad. The uninspired, lackadaisical performances are a clear indication this team needs to shake things up behind the bench. You are not going to find a better group of top players than the Sharks, they are not the problem. Roster wise the Sharks are short one top-4 defenseman and a depth forward (perhaps injured Raffi Torres can be that guy) but a roster shake up is not what is needed here. Head coach Todd McLellan has had ample opportunity to get the job done and if we are talking about playoff success, he has performed worse than his Sharks predecessor Ron Wilson. Ron Wilson coached the Sharks through nine playoff series in four years with a significantly less talented group of players. McLellan meanwhile has coached the Sharks for six seasons but only coached two more series. Not to mention McLellan has already stripped the captaincy away from both Patrick Marleau and Joe Thornton, and had his original assistants removed and replaced with Larry Robinson and Jim Johnson. The Sharks have done all the minor shakeups possible before actually canning the head coach. Fans know that, you can sure as hell bet the players know that. McLellan gets praised around the league as being a top flight NHL head coach. Yet it is puzzling to many locals as to why he receives that much praise. His teams annually under perform come the postseason, and when it comes to player personnel, he has hampered his team’s ability to perform on a regular basis. The biggest coaching decision that McLellan deserves praise for was moving Brent Burns up to forward to spark the team for what became arguably their best chance at winning the Stanley Cup in 2013. However, the Sharks have since moved Burns back to defense where he basically hasn’t played in nearly two years with the lockout. Not surprisingly he has struggled mightily in his own zone this year. Going through the list of coaching mistakes, moving Burns back to defense is right at the top. However, there may in fact be one mistake that is even bigger. That is the decision to play a top-heavy top line with Joe Pavelski. It is excruciatingly painful to hear people say splitting up Thornton and Joe Pavelski is difficult. It shouldn’t be difficult at all. The Sharks have played their best hockey over the previous four seasons when Thornton, Logan Couture, and Joe Pavelski all center their own lines. If you look back at the tape, since 2011 the Sharks are a respectable 15-11 in the postseason when they use this lineup. When they move Pavelski to the top-six wing, they are a putrid 5-10. Pavelski may have scored 40 goals on Thornton’s wing but not shockingly they win more games with three scoring lines instead of two. Spoiler alert. The mistake list goes on from there. This isn’t a short list by any means. For some bizarre reason, the Sharks played a stretch of games during the 2013 lockout shortened season with a second defense pair of Brad Stuart and Douglas Murray. Out of all the defensemen on the roster at that time, this is the worst possible pairing the coaching staff could have possibly put together. Two stay at home defenseman, both with limited foot speed, poor puck moving abilities and both left-handed shots? Not surprisingly this pair was downright awful together. Flash forward to this season and forward back to defenseman Brent Burns has been most often paired with 19-year-old rookie defenseman Mirco Mueller. Yeah, putting a baby-faced rookie right out of the WHL next to a guy who hasn’t played defense in basically two years? Does that not sound crazy to anybody else? Furthermore, McLellan’s insistence on playing fourth line players known more for fighting than anything else over players with actual NHL talent is quite frankly absurd. When you look at teams going deep in the playoffs in recent years, they have fourth lines with talented players. Those teams can roll four lines and their fourth line players can move up to a third or second line and not look like a fish out of water. Pittsburgh’s playoff hero Tyler Kennedy was scratched for all seven games of the Kings series last playoff in favor of tough guy Mike Brown, who is without question a terrible player at both ends of the ice. Nobody who even remotely believes in analytics can be convinced that Brown gives a team a better chance to win than Kennedy. The Sharks were a goal here or goal there away from winning that series. Who is more likely to score that goal? Kennedy and his 12 career playoff goals in 76 games or Brown and his 1 in 19 games? They were both equally horrendous defensively last season. The fourth line didn’t cost the Sharks that series, but like the rest of the team, it vastly underperformed the last four games. This isn’t to say everything that has gone wrong with the Sharks is McLellan’s fault but it is hard to fathom that the players in the room truly feel the way they say they do about their head coach. Based off Marleau’s comments about Burns at the start of training camp, it is pretty clear this group isn’t on the same page. The time is now for a new man in charge. The team couldn’t be better set up for a mid-season change. 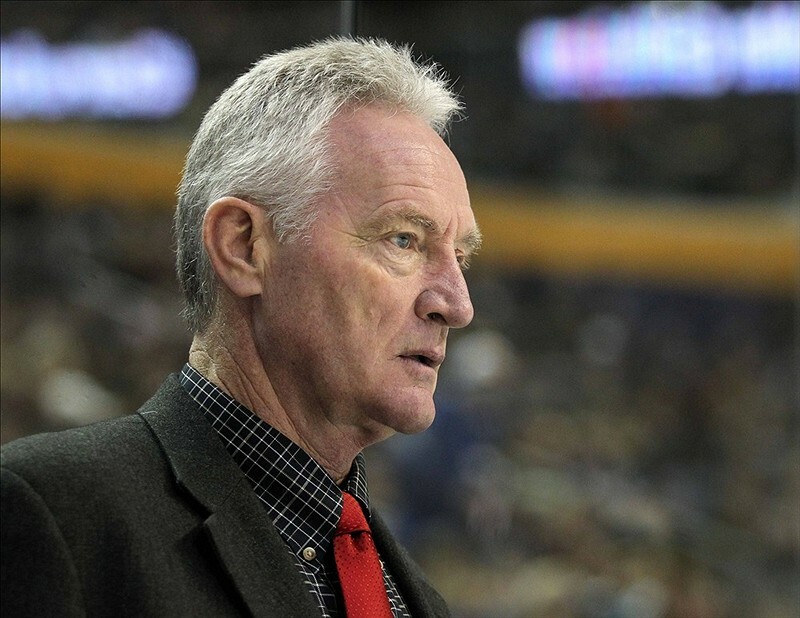 Even if the front office can’t convince Robinson to take over for the interim like he did with the New Jersey Devils in 1999-2000 (leading them to a Stanley Cup), they at the very least have his voice and experience on hand to help whoever it may be, whether it is assistant Jim Johnson or an outside hire like the Kings did with Darryl Sutter. With the 2000 Devils and the 2012 Kings, there is precedent of teams winning the Stanley Cup with a midseason coaching change. When it comes to Los Angeles, it certainly wasn’t all Terry Murray’s fault, nor is it all McLellan’s fault. However, a change in tone, philosophy, and just a breath of fresh air can do wonders for a team. Right now, the Sharks are just the same old Sharks. A top heavy team that doesn’t utilize their roster to maximize depth and just seems to be going through the motions. They have a great roster that needs only a couple of tweaks and a fire lit beneath it. That can come from a coaching change. Right now the Sharks are flat-lining, they look about as dead from an interest stand point as much as an energy stand point. It is one thing to be losing games due to lack of energy on these long road trips, but the disinterest and staleness of this team is appalling. The question really should be asked, why not make a coaching change? 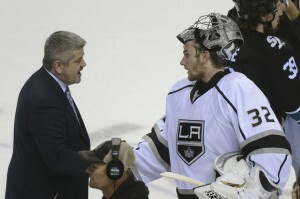 Is McLellan’s voice, strategy, x’s and o’s really paramount to this team’s success? It seems highly more likely this team catches lightning in a bottle with a coaching change than winning a Stanley Cup with the same old style that hasn’t worked for the last six years.